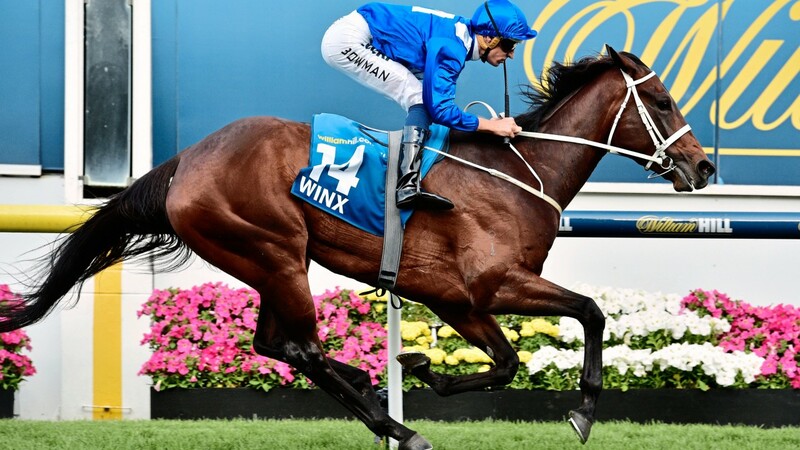 Winx appears almost certain to sidestep a trip to Europe in 2017 after Chris Waller outlined a four-start Sydney autumn campaign and once again stated his desire to target a third straight Cox Plate. The superstar mare, who lit up Melbourne's spring carnival with a spectacular performance to retain her Cox Plate crown at Moonee Valley in October, had been on the radar of Ascot's director of racing and communications Nick Smith for the Royal meeting this summer. Waller appeared to be leaning towards allowing Winx to travel to Britain in the immediate aftermath of her second Cox Plate triumph but soon poured cold water on the idea. Now it appears he has all but extinguished the possibility, with the lure of emulating the great Kingston Town and winning a third consecutive Cox Plate too much to resist. "She will resume in the Apollo Stakes [on February 11], second up run will be the Chipping Norton a fortnight later, and then three weeks to the George Ryder, and then three weeks to the Queen Elizabeth," Waller told racing.com. "It's only four runs, but to squeeze a fifth run in really does compact things." He added: "The autumn is only a two-month span and longevity beyond those four runs is what we are focussing on - we'd like to think about another Cox Plate as well. "She's just a pleasure to watch, she is picture perfect in our eyes and probably most others as well."